Top Writing Tip: Being a writer today means having to know something about marketing and publicity as well. It's not a glamorous part of the job, but it takes up about 70% of the work involved. You have to be your own manager, your own PR person, your own publicist, for the most part, because when you work with a publishing company, you're not the only author on the roster, and the time that they have to spend on you and your work is limited. So you have to build up your own brand, so to speak, from the bottom, doing the leg-work yourself. Find out who your audience is. Interact with them. Set up a website for you and your work. Set up social media pages for you and your work. Update them regularly. Take out advertising, but really do the research beforehand to ensure that you get what you are paying for. It's not very artistic, but it's a necessity, I think, in this day and age. Hi Joanna, thank you for taking the time to talk to us! I've been writing ever since I can remember. I've always created stories, and have a vivid imagination. I began writing a fantasy novel when I was thirteen; it was eventually published when I was in my 30's. For me, writing is a way of either letting my imagination roam free, or in the case of non-fiction, defining something that I am working with on a deeper level, integrating it body and soul through the written word. How long does it take you to write a book, are you a fast writer or a slow writer? I'm quite a fast writer. When the idea is there, and I've set down the outline for a book, it then comes very quickly. It just flows. However, it takes some time to recharge the batteries after finishing a book, and spending time marketing it and so on, so that re-charge time is spent reading and researching, travelling, opening myself up to new experiences. 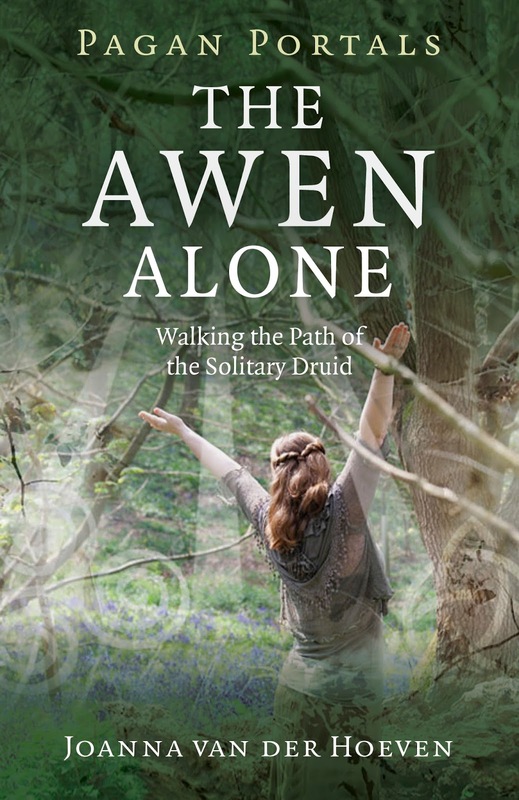 So, for example, The Awen Alone only took about four months to write, and that was when I was also working a day job. However, it took me over a year before I was able to even think about the next book, Zen for Druids. That is an even longer book than The Awen Alone, but it only took roughly two months to write, as I'm now that I'm a full-time author, and can dedicate all my time to both research and writing. I'm very lucky, in that I have the time now to be able to delve more deeply into certain subjects. Tell us a little about yourself, what are the main life experiences that have led to this book? Well, I came to Druidry in a very roundabout kind of way. Back in the early 1990's, I had taken a course at college called "Magic, Religion and Science", and was shown a documentary film from the National Film Board of Canada on Paganism. It resonated with me, but more than that, the musical soundtrack to the film resonated with me. It was written by Canadian artist Loreena McKennitt, and I found it hauntingly beautiful. Shortly after having watched that film, I visited a Pagan store in Montreal, and heard that same music being played. I felt instantly at home. I got a couple of books on Wicca, as well as cassettes of Loreena McKennitt's music, and my journey into Paganism started there. I practiced Wicca for some years, before diving deeply into Zen Buddhism. After about five years later I then found Druidry, which for me blends the enchantment of living a magical life wholly integrated with nature and the discipline of living a life in service, to one's community, the land itself, the gods and the ancestors. I think I've always been a Druid, all my life, but I just didn't have a name for it. For me, Druids were characters in fantasy novels that I was reading at the time! 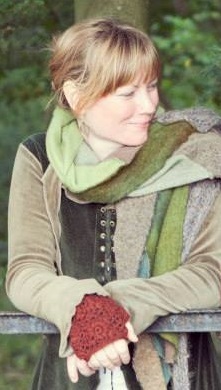 I've now been a Druid for many years, and have always been a writer, ever since I was a teenager. When I felt I had enough experience under my belt, naturally I turned to writing about Druidry, and my impressions on that religious/spiritual path. And, of course, I'm still a big fan of Loreena McKennitt! I've followed her musical and physical journeys through the history of the Celtic diaspora since the beginning, and am always inspired by her work and her work ethic. I'm inspired by nature, by the natural world. Taking long walks, being by myself, I get to silence the chattering mind, and allow myself to become still. It's like a form of moving meditation for me. I also practice meditation in the more traditional sense, but I receive inspiration when I'm out and interacting with the natural world, allowing the stories of the myriad beings all around me to sing. We can get so lost in our own stories, and it's important to open ourselves out to hear the stories of others, both human and non-human. If you could pick one book you wish you’d written, what would it be? The Lord of the Rings, most definitely. Is this your first published piece or have you had work published before? 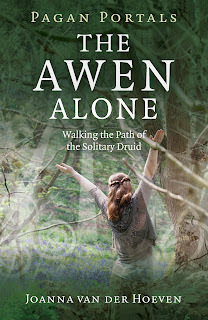 The Awen Alone: Walking the Path of the Solitary Druid is my third book with Moon Books publishing. I've written two previous books for their Pagan Portals series, entitled Zen Druidry: Living a Natural Life in Full Awareness as well as Dancing with Nemetona: A Druid's Exploration of Sanctuary and Sacred Space. Do you think ebooks have changed the publishing market for better or worse? Ebooks are an interesting subject. I have a Kindle, which is great for when one is travelling. It certainly lightens the load in the suitcase, not having to cart around 10 books with me wherever I go! It's also good from an ecological perspective, in that the cost to the environment is much less when you purchase an ebook than a physical copy. That being said, there are many publishers out there who manufacture books with a strong ethical code, using natural dyes for the print and renewable or recycled materials, and they need to be supported as well. The problem with ebooks is that they can be pirated a lot easier than physical books. You used to have to scan a physical book page by page onto your computer in order to have an electronic copy that you can put out everywhere on the internet. Nowadays, it's fairly easy to convert a file into something that can be downloaded for free from various websites, and it's the author that suffers as no royalties are exchanged. Most websites that offer free ebooks (illegally downloaded) are actually just set up to place a virus on your computer, but there are some out there that circulate illegal copies of your work. In electronic format, it's easier to pass on information. Sure, you can lend out physical books, from the library or from friends, but you will then return the book and go and buy the book for yourself if you've enjoyed it, which supports the author. With ebooks, sometimes it doesn't get that far. It's difficult, because books are becoming so expensive these days. Ebooks are much cheaper, as they involved much less work in their production and distribution, and so if one is able to afford a e-reader device, then financially it's the better option. But I've always loved having a physical book, and so will often buy an ebook and then, if I've loved it, buy the physical copy as well. Please buy your books, in whatever format, and support the authors! How important are reviews of your work, do you read them? Reviews are very important for any author, especially when they come from platforms such as Amazon. After a certain number of reviews, your book is made known to a wider audience, and so the more reviews the better, really. It's always nice to have good reviews, but you will always have the odd one or two reviews from people who haven't read the book (which has happened to me, even stating that they haven't read the book in the review itself, that they bought it for someone and that they don't agree with all this Pagan stuff!) or from people who just don't get on with the material. And that's fine, people are people, and everyone has their own opinion on matters. What matters most to me personally is when someone actually takes the time out to contact me, to email me and tell me about their experience with one of my books. It's so wonderful to know that you've touched upon someone's life in a certain way. 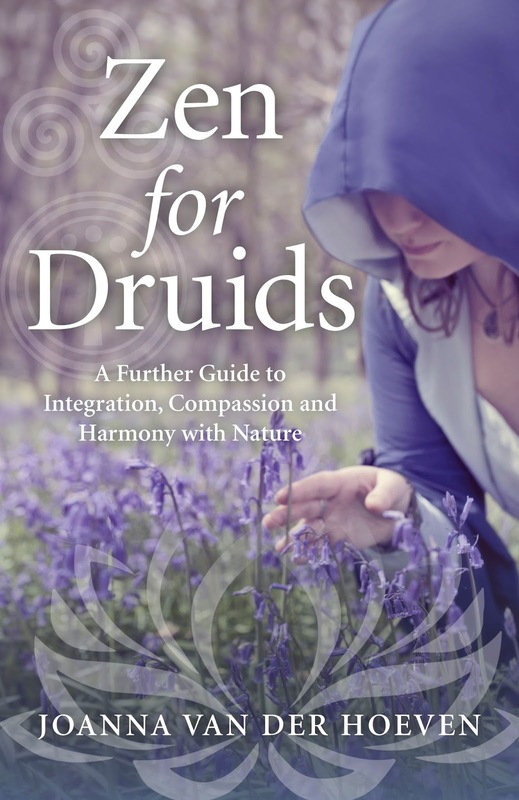 I also have Zen for Druids: A Further Guide to Integration, Compassion and Harmony with Nature due out at the end of October 2016. Then there's two further works scheduled for release in 2017 and 2018 respectively: The Crane Bag: A Druid's Guide to Ritual Tools and Practices and a full length tome: A Druid Colloquy. Thank you again for giving us a glimpse into your process and passion, Joanna. We wish you all the best with your next projects! Comments are moderated. There may be a delay between posting your comment and it appearing. Thanks for taking the time to get involved. © Pagan Writers Community. Watermark theme. Theme images by konradlew. Powered by Blogger.